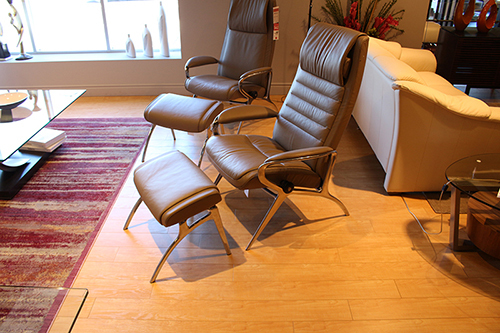 Ekornes Stressless John Recliner Chair & Ottoman with Plus® & Glide® system. 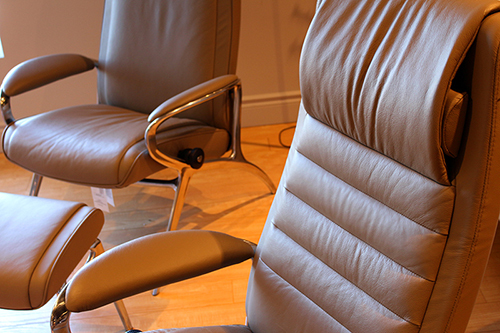 Shown in Batick Mole Top-Grain Leather and Aluminum frame. The Plus™ system provides continuous support for your head and lower back. The internal construction features a double-sided mechanism to ensure maximum stability and functionality. The durable steel frame and flexo springs provide for superior resilience and continuous support. 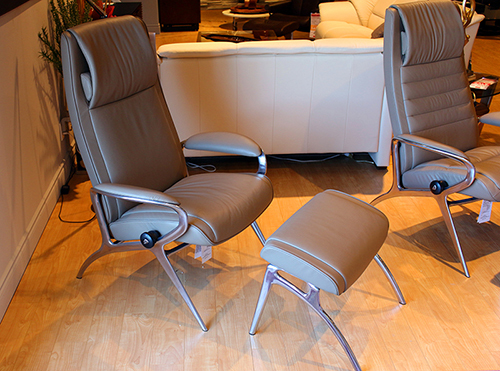 Matching Sofa: Stressless Liberty & Stressless Juia. 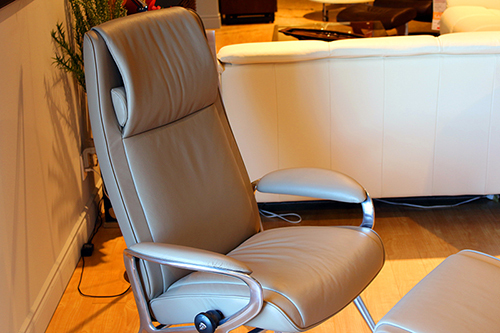 Learn more about Stressless Reclining Mechanism here!